PULLMAN, Wash. – Poet Curtis Bauer will be the featured speaker at the next WSU Visiting Writer Series 5:30 p.m. Thursday, March 22, at the Elson S. Floyd Cultural Center. 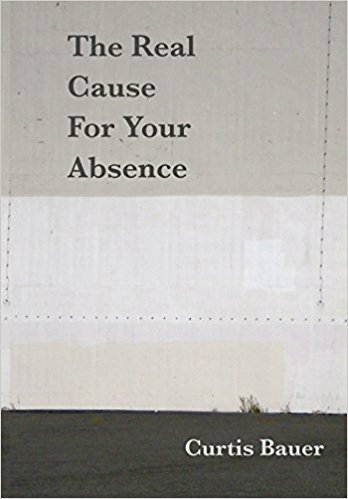 Bauer’s most recent works include a collection titled “The Real Cause for Your Absence,” (C&R Press, 2013); a second collection, “Fence Line,” (BkMk Press, 2004; winner of the John Ciardi Poetry Prize); and the bilingual Spanish Sketchbook (Ediciones en Huida, 2012). He also has translated collections of poetry, including “Image of Absence,” by Jeannette L. Clariond (forthcoming from The Word Works Press, 2018); From Behind What Landscape, by Luis Muñoz (Vaso Roto Editions, 2015); Eros Is More, from the Spanish of Juan Antonio González Iglesias (Alice James Books in 2014); “Talisman,” from the Spanish of José de María Romero Barea (Editorial Anantes, 2012). Bauer is the director of Creative Writing Program at Texas Tech University in Lubbock, Texas, where he and teaches comparative literature. He also is the publisher and editor of Q Avenue Press Chapbooks and the translations editor for Waxwing Journal, and the Spanish translations editor for From the Fishouse. His poems and translations have appeared in The Southern Review, The Indiana Review, The Common and The American Poetry Review. For more information see the Visiting Writer Series website, or contact Kimberly Burwick, clinical assistant professor, WSU Department of English, kaburwick@wsu.edu.